Letting go seems to be the most difficult thing that any of us would ever have to do. But what does it really mean to “let go” of someone or something that we love or hold dearly to us? How can we simply remove ourselves from the bonds that have tied us together since they have already become part of our lives? Actually, letting go does not necessarily mean that you have to sever the ties that you have formed with someone. 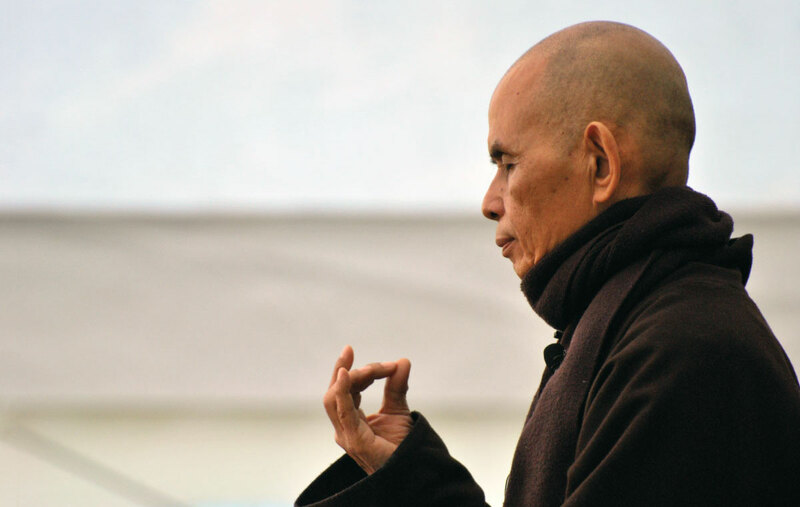 It is not about detachment, explains Thich Naht Hanh, a Zen Buddhist master who says that there are several misconceptions of the idea behind detachment or letting go. He describes that the act of truly letting go or pure detachment involves loving someone deeper and with greater intensity than you have ever loved that person. Detaching oneself does not mean that you would have to live as a hermit, far away in the mountains, and cut yourself off from the rest of the world. No, that’s not what the Buddha had intended when he taught about the art of detachment. You are not removing or erasing yourself from other people’s lives, no longer having any concern for what happens to them. Rather, it is quite the opposite, despite the irony of it all. Master Hanh describes detachment as having the ability or capacity to love someone more completely. Only when you are able to “detach” yourself from your own selfishness and self-centered views on love and other things in life that it would become much clearer what it really means to love someone. He enumerates four different types of true detachment which actually pushes us to engage with other people, have compassion toward them, and to be present in their lives no matter how they may feel toward us. It’s not about going emo and shutting yourself from those who have broken your heart, or controlling your urges to the point that you deny yourself, or even sucking out all the passions from your heart and becoming devoid of any emotion. These are the four forms: maitri, karuna, mudita, and upeksha. You could think of it as the opposite of self-serving love. By that, I mean whenever you do something good for someone, you don’t expect anything in return. More than that, you want to give them what they truly need at the moment and maybe even go beyond that. It is a prelude to what I would call sacrificial love. Karuna means compassion. When somebody hurts us, we would tend to take pity on ourselves and dismiss the other person’s situation or feelings. Since they are the ones who grieved you and caused you pain and suffering, then they deserve some kind of retribution. You would probably hope that karma hits them. But that should not be the case. Instead, love involves understanding on both sides. It needs communication. The same is true when we have hurt someone we love. We should not push them away or isolate ourselves from them rather, we need to learn how to repair the bond that has been broken albeit having respect for their personal space and their feelings. At the heart of it all, gratitude or joy is what binds the other forms together. When we talk about joy or gratitude, it is usually in the context of something good happening to us however, joy must not only be the result of our own successes or achievements but for it to be genuine, it has to be unselfish. We must learn to take joy in others’ success and happiness. You may have experienced helping someone out which catapulted that person to success and it may have seemed that afterward, they do not give you as much attention as they did before. You might feel a bit disappointed. Or perhaps, your best friend has to move away and years later, when you meet again, you find that they made other best friends. You have to realize that they did not replace you or forgot about you. Instead, you just have to take joy in their happiness. Be joyful when other people find joy in their lives. This word means equanimity or the quality of having mental calmness, composure, and evenness of temper especially in a difficult situation. This form involves the capacity to face every situation with the kind of fortitude that only true love can bring. Regarding this, Hanh says: “The fourth element of true love is upeksha, which means equanimity, non-attachment, nondiscrimination, even-mindedness, or letting go. Upa means “over,” and iksha means “to look.” You climb the mountain to be able to look over the whole situation, not bound by one side or the other. If your love has attachment, discrimination, prejudice, or clinging in it, it is not true love. Furthermore, this quality allows one to have a kind of restraint. We have a tendency to become possessive and try to control other people, thinking that we are the only ones who deserve to the love that person. But that is not the case. People have the choice to love others and be loved in return. We do not have monopoly over someone’s heart or mind. For love to be true love, it needs all these aspects: selflessness, compassion, joy, and equanimity. Letting go is not about sticking to a set of rules or guidelines about how to do this or that. It is through the interactions we have with others that we are able to develop a deeper understanding of what love is and be filled with every aspect of love. To truly be able to let go, you must learn how to love with all sincerity and concern for others.